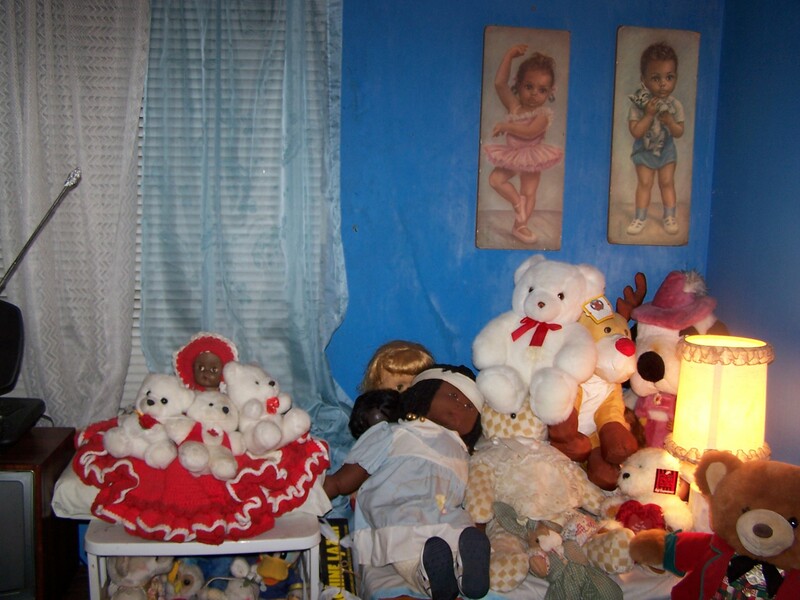 There is a room in my Grandmother’s house on the outskirts of New York City. 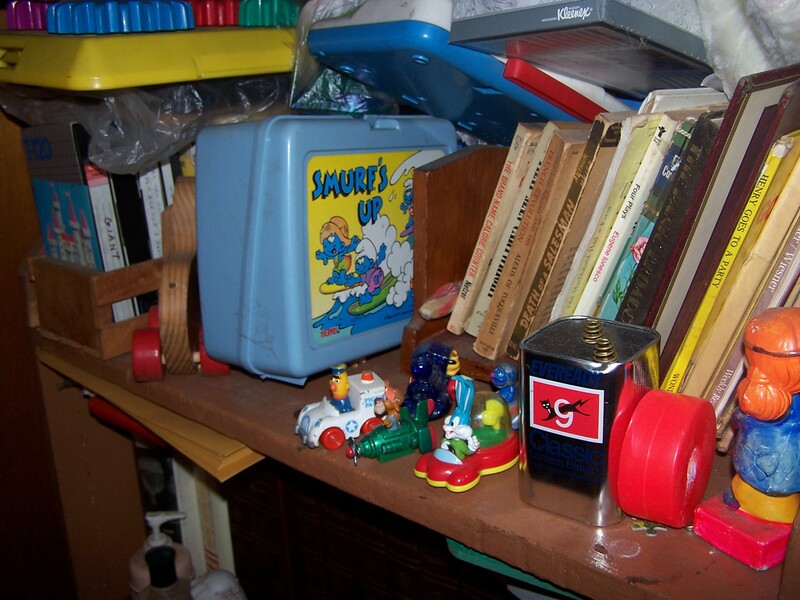 This room was my very first bedroom, and in it, I watched many cartoons and television shows now remembered as classics. At the time, I cared little about video games, though I was certainly aware of them, and saw commercials for the NES, Sega Genesis, and Super NES frequently enough to know the differences between them. Many years later when I finally got my own NES, it was in this room that I had my first go at many classic games. The interesting thing about my old bedroom is that even fifteen years after I last called it my own, it’s still pretty much exactly as I left it when I was five. 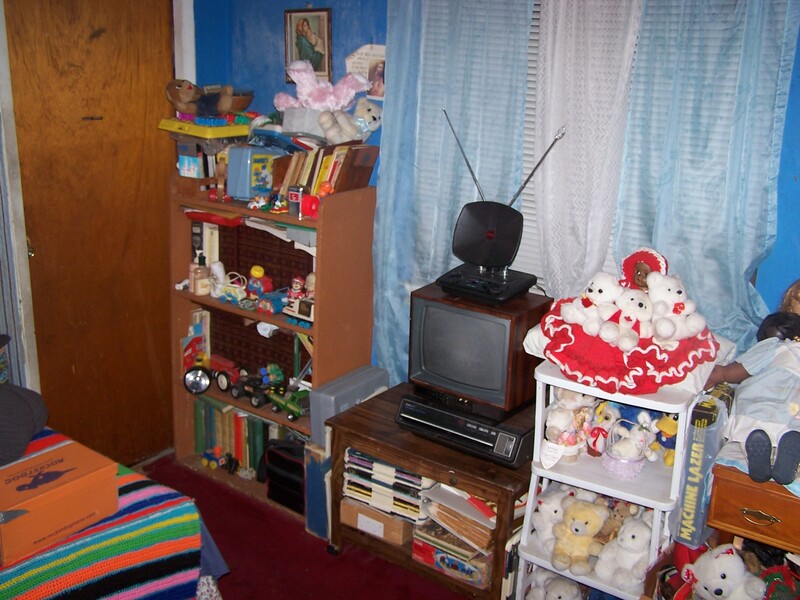 It’s still covered in teddy bears, my Thomas the Tank Engine poster is still up, many of my toys and books are still there, as is a small, old TV adorned with foil tipped bunny ears resting atop a video disk player. In other words, there is basically nothing in my in bedroom that wouldn't have been there when the NES was a current platform. So in this unique period correct setting, I’ve returned to my old room to relive my first NES experiences. At the time I first got my NES, I was going between home and Grandma’s house frequently and would sometimes stay there for a few days at a time. The first challenge was to actually get all my gear where it needed to be. 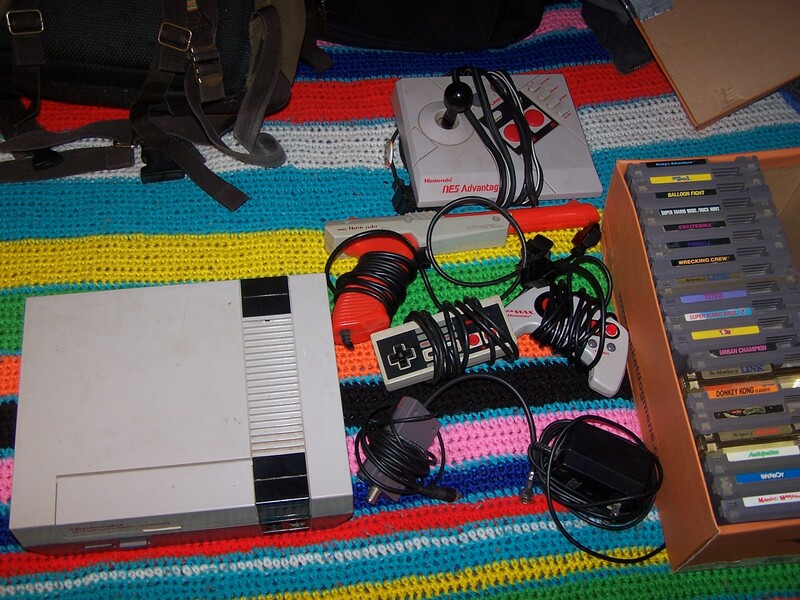 The NES itself was pretty easy to carry, and it could be carried easily in a plastic shopping bag or backpack. 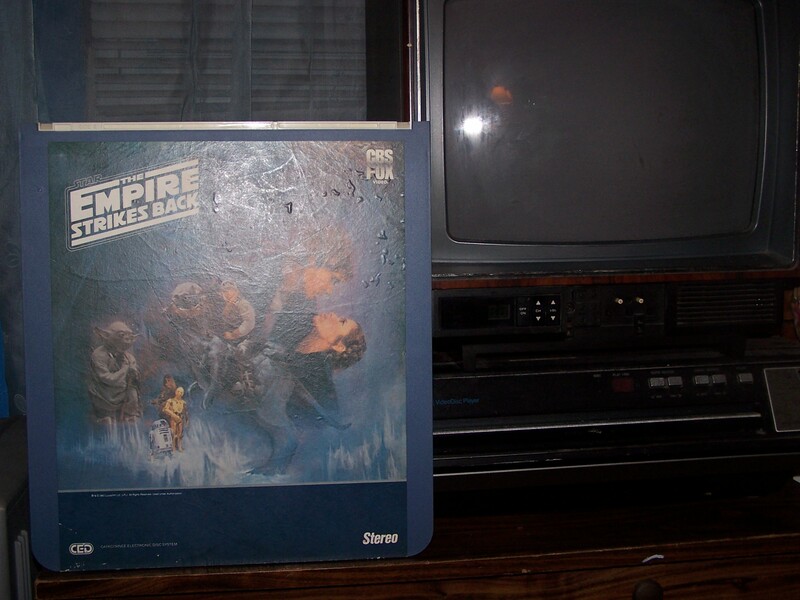 For the cables, cartridges, and accessories, a shoebox provided perfect conveyance, and it looked pretty cool too. 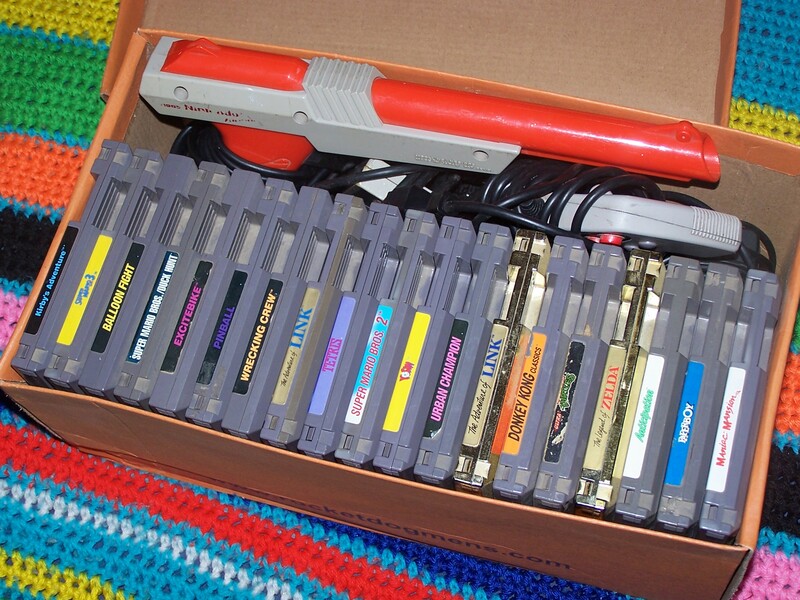 In an average sneaker box, you can easily fit about 20 NES cartridges, all the necessary cables, two controllers, and even the Zapper light gun. Since I was dealing with an old T V, the NES RF Switch was the means of hooking up the system. Interestingly, Nintendo actually continued making these exact same RF switches for nearly twenty years, I think they were finally discontinued in 2005 or so. Unfortunately, before I left home, I forgot to consider the fact that the wiring at Grandma’s is possibly as old as the house itself and is in need of improvements. The power outlet closest to the TV in my room only had one socket, so I could plug in the TV, but needed to plug in the NES elsewhere. Every available plug within cable length of my setup either flat out didn’t work, or wouldn’t even hold the weight of the AC adapter and would just fall to the floor. After messing with multiple ancient, useless, or outright dangerous serge protectors and multi jacks, I finally managed to scrounge up a functional extension cable and find a suitable power source. After this, I had to fuss with the RF switch for a while to get a decent picture out of the old TV. It ended up taking about thirty minutes to set up the NES, a process which normally would have taken less than a minute. I honestly don’t remember hooking up my NES to have been such an ordeal back when I did this on a weekly basis. I also don’t remember the picture on the TV being so bad. I can’t gauge if this is from the already old TV further deteriorating since 2001, or my simply being spoiled by the newer TVs I’ve gotten accustomed to since then. Oh well. In the end, I got the system up and running, took some pictures, and got to playing. came in a fast food kids meal. 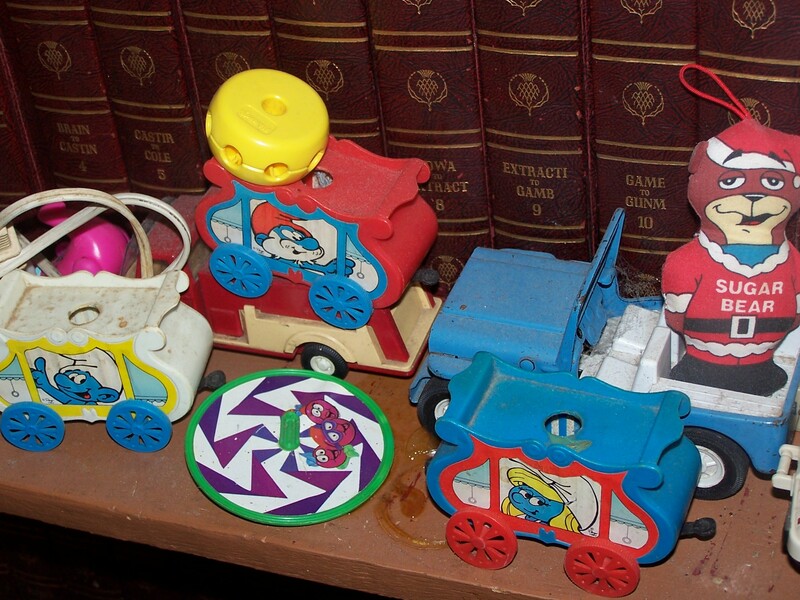 I could never imagine them giving away somthing that substantial in a Happy Meal these days. Those Smurfs train cars are way older than me. They once had little plastic smurf heads sticking out of the holes. There was a little white locomotive engine that came with them, but I somehow lost it ages ago. I found the green spinner while I was trying to find an outlet for the NES. It came from a box of Capn' Crunch in 90 or 91. Speaking of cereal prizes, that Sugar Bear Christmas decoration came in a box of Golden Crisp. Nowadays you would save to send like, a thousand proofs of purchase and ten bucks S&H to get that same thing. Actually, I'm not even sure if they make Golden Crisp anymore. I've been hunting around for it at the supermarket for a few months now and have yet to find any. The best way ever to watch Star Wars (aside from a real theatre). The only thing missing from this picture is pizza.